The project that we set out to complete was to store, parse, and display information from a USB mouse in the form of a painting program. 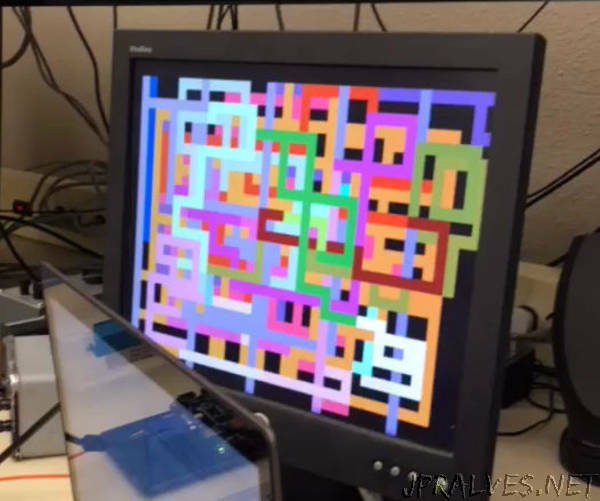 The idea behind the project is to be able to plug the mouse and VGA cables into the Basys board in its built-in ports, and have the mouse displayed as a moveable painting square on the monitor, changing different colors when left and right clicks are used. In essence, wed be creating a driver for using the mouse with the basys board, and having the monitor as our verification of functionality. What ended up really happening was the creation of a drawing program with the basys board as an input system, and a semi-functional data capturing system for the mouse.